Dentistry has much to offer law enforcement in the detection and solution of crime or in civil proceedings. To write the history of identification is to write the history of criminology. Prosthodontics as a speciality can play a important role in the identification of an individual. 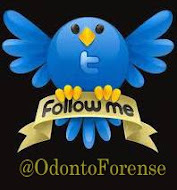 Forensic odontology plays an important and often decisive role in the identification of disaster victims. 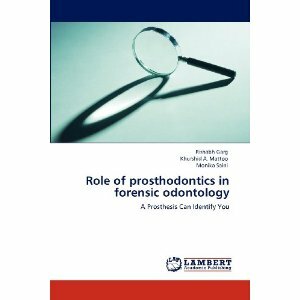 Dental description of unknown or missing persons in cases of mass disasters is a very successful means of identification in forensic research. Difficulties arise if the natural dentition has been lost for one reason or another and has been replaced by dental prosthesis. From the prosthodontist view this difficulty can be prevented by delivering a prosthesis that carries patient identification.Forensic identification based on assessment of prosthodontics appliances is assuming greater significance, as labeling of dentures and other prosthetic appliances could provide vital clues for patient identification.